AK owners come in all shapes, sizes and genders. Some have nice smiles. Call it shameless promotion, but I thought it only appropriate to discuss why I took the trouble to write this book. I had never intended to write a book about how to buy an AK-47. The best laid plans, as everyone knows, are always subject to change. As I shopped around for an AK, I became acutely aware of how different an animal it was from other rifles. Finding good advice on this iconic weapon was hard to come by, which made the task of choosing the right one downright confusing. That’s why I spoke to some of the most knowledgeable people in the industry—builders such as Marc Krebs, Jim Fuller and Chase Sisgold. I also interviewed bloggers who know the gun inside out—guys like Larry Vickers, Rob Ski, Mrgunsngear and Tim Harmsen, just to name a few. Finally, I spoke to experts who understood the ins and outs of adding third party parts. Guys like Tim Yan (who knows his way around optics) and Graham Baates (who understands muzzle brakes and a whole lot more). I needed to speak to the pros because of the challenges of determining how to buy the best AK for your own needs. 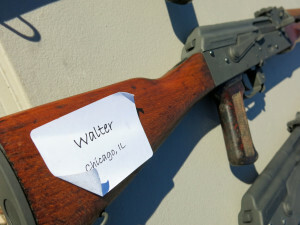 Whether I was inspecting rifles at a neighborhood dealer or an online auction site, it occurred to me that choosing an AK is a bit like walking through a house of mirrors. Regardless of price, to the untrained eye, they all looked the same. 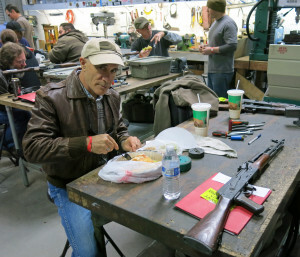 The author takes time to eat at a Rifle Dynamics builders class. What I came to discover was that trying to assess the merchandise superficially was an exercise in futility. I found out that you need to know what’s under the hood. Unless you’re intimately familiar with the individual manufacturer and the provenance of the parts, you don’t know what you’re getting. Even Amazon.com didn’t help my research at all. There were some books on AKs listed, but they were either highly technical or devoted to the history of the rifle. Elsewhere online, objective information was also in short supply. The forums were too esoteric and while there were a few websites with good data, they were few and far between. A comprehensive AK buyer’s guide simply didn’t exist, so I figured I’d write one. The differences between a $600, $1200 and a $2000 rifle. Which AK manufacturers offer the best bang for the buck. Whether to buy online or from a local dealer. Whether to buy new or used. What type of optic to buy and how to mount it. So…the purpose of this little book is to provide buyers with answers to these queries and much more. In short, my objective is to de-mystify the process of purchasing an AK. In addition to the basic questions that revolve around choosing the right gun, How to Buy an AK-47 also offers ideas on customizing your AK with aftermarket parts such as stocks, folders, grips, rails, etc. Many of these suggestions come from my own product reviews but most advice is garnered from professional gunsmiths and trainers—the folks I mentioned at the beginning of this article. The people who design, build and operate Kalashnikov-style rifles for a living. 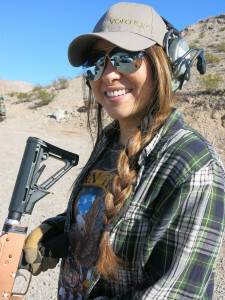 I believe the book will be valuable to people who both have experience with firearms or complete neophytes.